I'm a huge Jessica Day George fangirl, so I was so excited to read this! 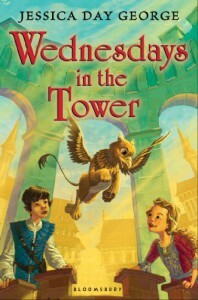 I was overjoyed to discover that Wednesdays in the Tower had just as much quirky fun as the first one, but this time taking them on an all-new adventure. Celie is a wonderful character. 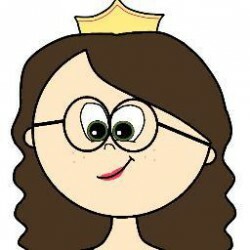 She’s clever and witty, and princessy without the pomp. She’s the kind of girl everyone wants to be friends with. In this book we get to know Celie much better, and watch her mature as chance thrusts a baby griffin into her hands. She makes a wonderful mother to Rufus, all while keeping him hidden from the other residents of the castle. I had so much fun exploring Castle Glower in all of its glory. New things popping up and a mystery bigger than anyone realizes keep both Celie and the reader on their toes. All the new rooms were incredibly creative, and had me wishing that I could visit Castle Glower. Wednesdays in the Tower was a light, fresh, and thoroughly enjoyable sequel to such a fun Middle-Grade novel that promises to hook readers.